1. It is an optical illusion! What is actually happening is that their face is losing volume. Dr Mooney explains, “the tree is not growing; the snow is melting around it so the tree in turn looks taller”. Post child birth women will experience this change as their weight yo-yos quite radically and often they shred a lot of subcutaneous fat from their faces when they are losing weight postpartum. 2. Collagen and elastin in our skin breaks down as we age, therefore our skin loses its strength and the pull of gravity can cause the tip of the nose to droop. Similarly, this occurs to your ears, eyelids, jowls and breasts. Dr William Mooney finds that this topic is more commonly discussed in women than men. A rhinoplasty procedure can be performed to correct the shape or size of the nose. But one may ask whether altering the proportion of features later on in life can appear wrong or unnatural? Dr Mooney believes it can to a degree. “Trying to give a woman in her 50s or 60s a cute button nose would simply not be suitable”. As with all surgeries, if the patient chooses to move forward with a rhinoplasty procedure it needs to be harmonious with the facial features, the age, and personality of the patient. 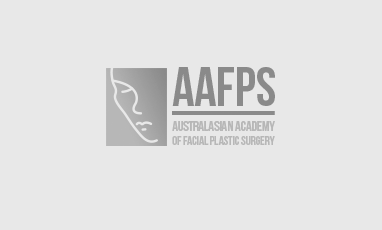 “We need to be careful that we offer patients appropriate procedures because I think it is best that patients look great for their age and not desperately try to look like they are a different age” – Dr William Mooney.